John Morrison has lived in Wichita for more than 30 years, and has long admired its landscape. In the early 2000’s, Morrison started photographing the Kansas landscape. “Contrary to the opinion of some, the Kansas landscape is extremely varied, though it does not shout for attention,” he says. In 2005 he opened Prairie Vistas Gallery to show off his work. 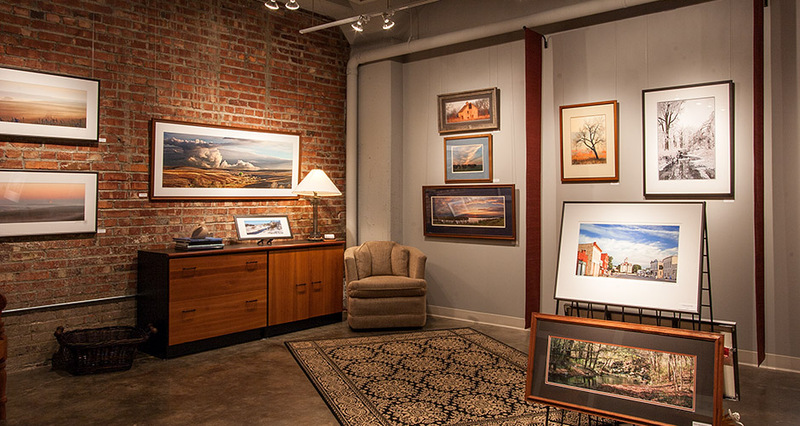 Prairie Vistas Gallery is located in a converted warehouse in Old Town. At any time, you’ll find 30-40 framed photos, dozens of unframed photos, and several portfolios. New pieces cycle into the gallery every month or so. Prairie Vistas Gallery is located at 151 N. Rock Island, Suite D. It’s open Monday-Friday 9-6, and by appointment on evenings and weekends. To learn more about Prairie Vistas Gallery and John Morrison, visit http://www.prairievistas.com/.